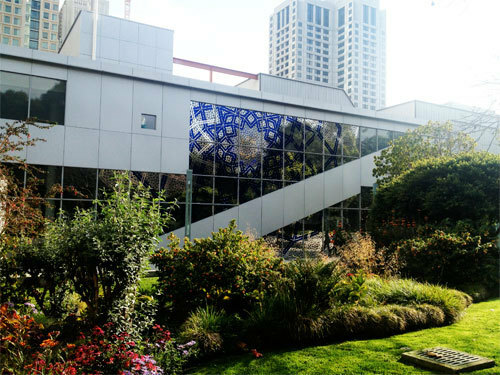 In mid-October, I had the opportunity to attend Gain: AIGA Design for Social Value Conference in San Francisco. As I’ve been telling everyone since I’ve been back, Gain was such an invigorating, motivating and inspiring conference that I’m still buzzing with excitement and hitting the ground running to change the world through the power of design. A major take away (and relief for me) from the conference was that you don’t have to fly to a third world country to make a difference. You can start locally in your own backyard. As co:lab’s Rich Hollant stated perfectly in his presentation: “Go where the people are hungry, feed them and organize them” – that can be in your own neighborhood. 1. My design hero, Emily Pilloton of Project H Design talked about the two years she spent in rural Bertie County, NC working with high school students in a design/build class called Studio H. She helped transform the town through its youth and gave hope to what was once a desolate and jobless place. The Gain videos will be up on aiga.org in November but in the meantime, check out Emily’s inspiring Ted Talk about teaching design for change. 2. Ravi Naidoo from Interactive Africa and Design Indaba blew us away with his presentation about “Creativity is Capital”. He was so delightful with his charisma and wit stating “the world needs designers who will move beyond aesthetics—out of the silo and onto the street.” Design Indaba, based in Cape Town, South Africa, holds an annual conference with leaders from all over the globe who are committed to the vision that creativity can help solve society’s most pressing issues. He challenged all of AIGA to participate in Yourstreetchallenge.org which invites creative plans to improve aspects of a city’s street life through design. I am hoping to attend the Design Indaba conference in the future and definitely think we can make the Your Street Challenge initiative happen in Charlotte. 3. Leslie Ziegler from Rock Health shared how designers and developers can save healthcare by disrupting the status quo. Through Rock Health’s nonprofit foundation, that is an engine for social enterprise, she shared the innovative projects like CellScope, Pipette and Podimetrics that are coming out of entrepreneurs, designers and developers. This is amazing stuff that gives hope that we as designers can really have a hand in reshaping healthcare. 4. Susana Rodriguez de Tembleque of SYPartners, shared their mind-blowing public exhibition of IBM’s THINK that inspired visitors to help articulate a vision for a better world. 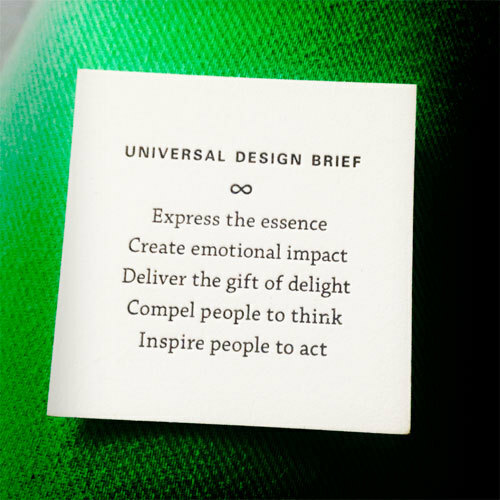 When working on the project their team developed a “Universal Creative Brief”: Express the essence, Create emotional impact, Deliver the gifts of delight, Compel people to think, Inspire people to act. This brief was shared with all of the GAIN attendees on a small letterpress card to encourage us all to engage in becoming change agents through design. 5. “The future of design will be defined by problem seeking not problem solving.” – Christopher Simmons, MINE who makes me swoon every time I hear him speak. His presentation was truly captivating. 6. Maria Giudice from Hot Studio discussed the DEO, or design executive officer, which is a combination of strategic business executive and creative problem-solver. 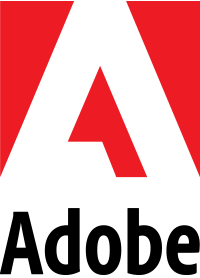 “Designers have moved from being seen as makers of artifacts to being perceived as central players in innovative organizations.” I couldn’t agree more. 7. “Humility is important – you will not always be the expert in the space.” – Patrice Martin, IDEO.org stated about experiences from the organization’s first year and the failures and new questions that have emerged from applying design to the challenges of poverty. IDEO.org created the Human-Centered Design Connect website and HCD Toolkit which walks users through the human-centered design process. 8. Gaby Brink talked about leaving her company at the height of her career to start something new that made a difference. This has led to Tomorrow, Tomorrow Labs and Sparkwise. Tomorrow Labs brings global changemakers into the innovation process and Sparkwise is a web-based data platform that consolidates, aggregates and makes accessible all sorts of impact metrics to inform and ignite communities. 9. Joshua To, Hattery and BRUTE LABS, shared through collaboration, partnership and work his ventures that included implementing clean water projects, tackling childhood obesity and distributing maps to the homeless of Santa Monica, CA to help them locate services available to them. In addition, he was part of the team of folks that started the campaign against SOPA, making it go viral and changing the outcome of voting by congress to not pass the bill. About our guest blogger: Rachel Martin is design director of Rachel Martin Design LLC, a sustainable and socially responsible collaborative design studio. As an avid do-gooder and advocate for sustainability, Rachel collaborates with socially conscious businesses and non-profits on a national level to help build unique brand messages that inspire positive change to shape our world and culture for the greater good. Rachel is the AIGA National Director of The Living Principles and serves on the AIGA Charlotte Advisory Board. See Rachel’s member profile from earlier this month.